I want to remove my vac lines, and all the emissions crap. Next year I want to tackle a new Weber Carb (I'll have to find a friend for this one I think). My auto skills are terrible, but this truck I am learning on. I see all the posts that say "remove everything but the distributor vacuum advance to the carb", but I am still lost because I am idiot. I even downloaded all the pictures from damn, pulling out and making his engine pretty (Thank you). Trying to see what he removed, and what he left. 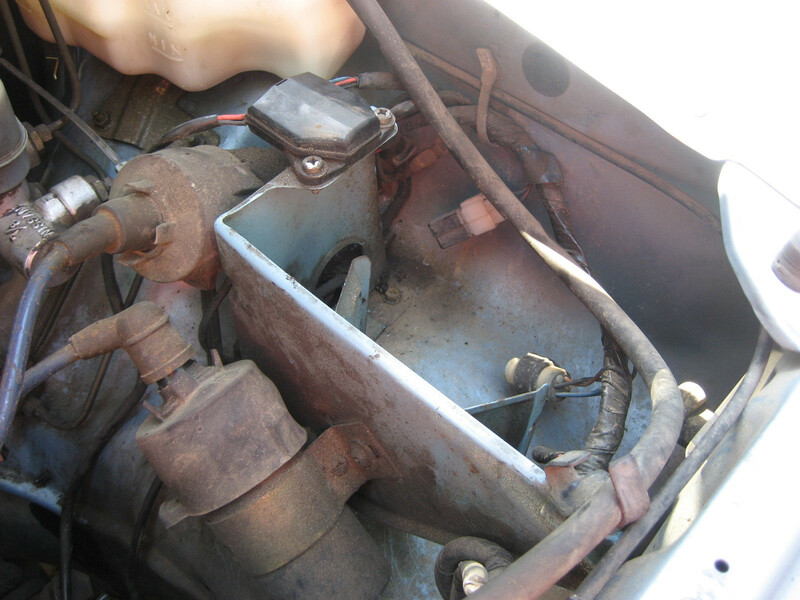 And I went over the Vac line placement article by fastboatman. I know this is a big ask, but what are the odds someone would take the pictures from damn, or fastboatman, and do a quick markup of what stays and what all can be removed? Hoses, valves, EGR this, VVT that. 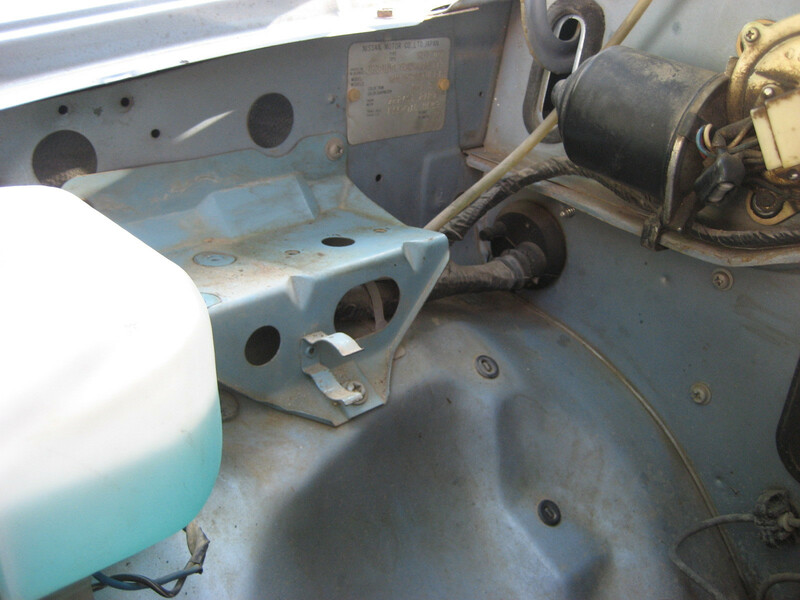 Do you leave the fuel tank vent line open, or plugged? I really appreciate the help if someone is willing. If not I'll figure something out. I see it has been asked a bunch of times, maybe it could be kept with the other DIY articles. Last edited by lalsimmons on Fri May 18, 2012 12:51 pm, edited 1 time in total. Be sure to check this thread. 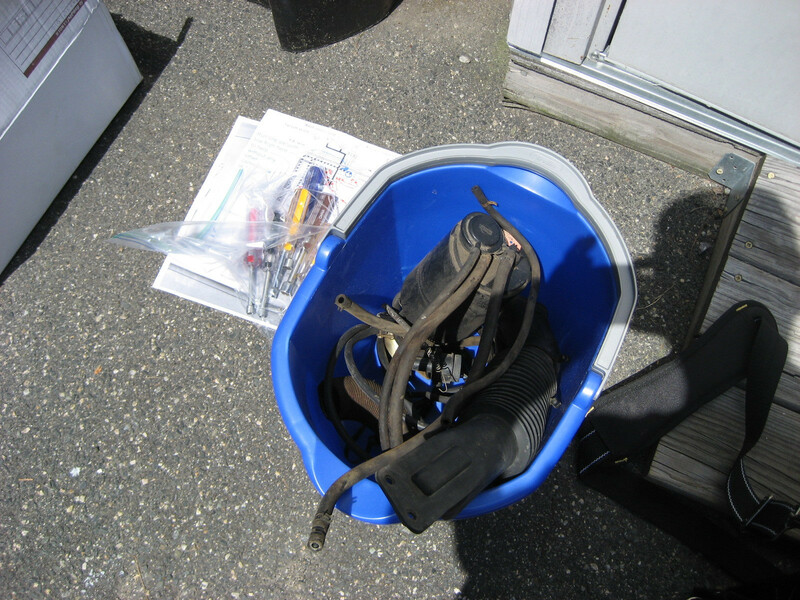 It has a lot of DIY info, and the second link in is the one that shows the vac line pics. Thanks for the link, I already took a look at where all the lines go. My goal is to get rid of them, and all the other parts that go with it. But I am having a hard time figuring out all the pipes, hoses, valves, switches that can go. The hoses I think are easy, but the rest I don't know. And then are there any hoses I don't plug? Like the Gas Tank Vent? 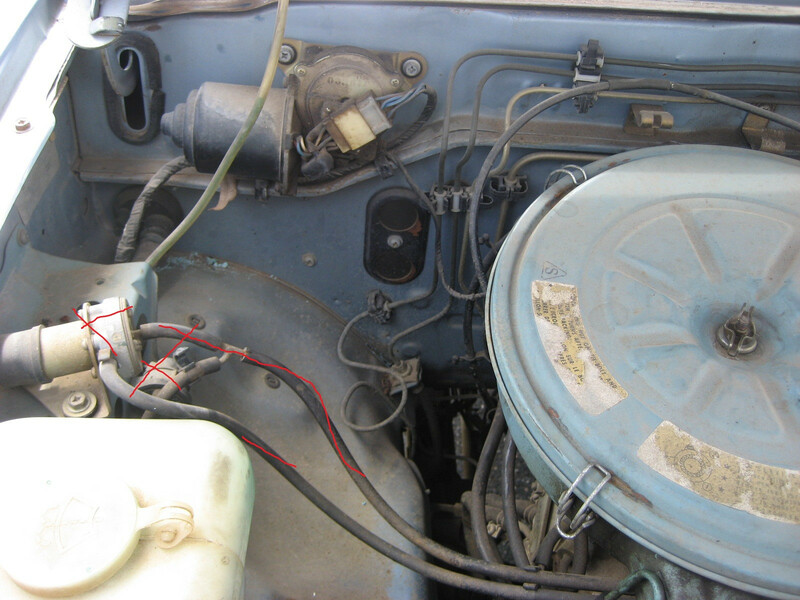 All the vacuum lines are connected to either the carburetor, the carb spacer, or the intake manifold ports. 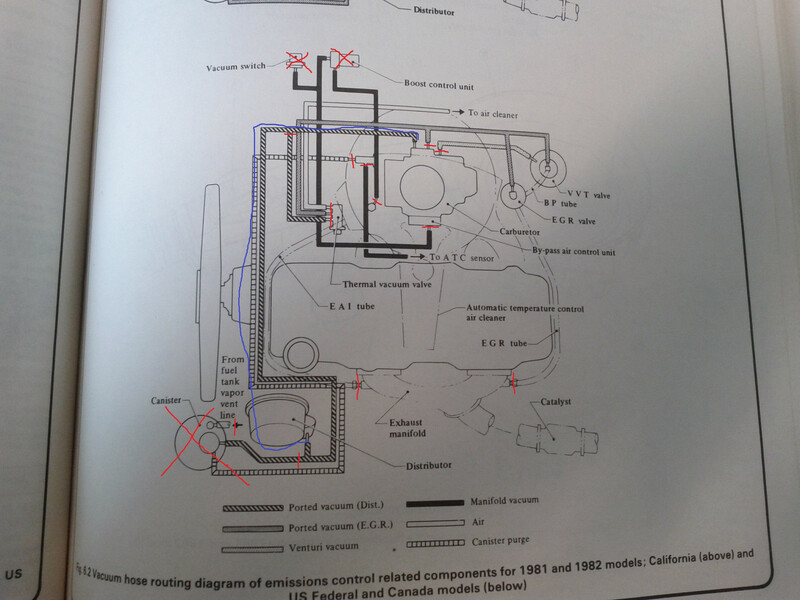 The 1984 Nissan 720 diagram below should be very similar to your FSM diagram. Click on the picture below and then the whole picture will show up. 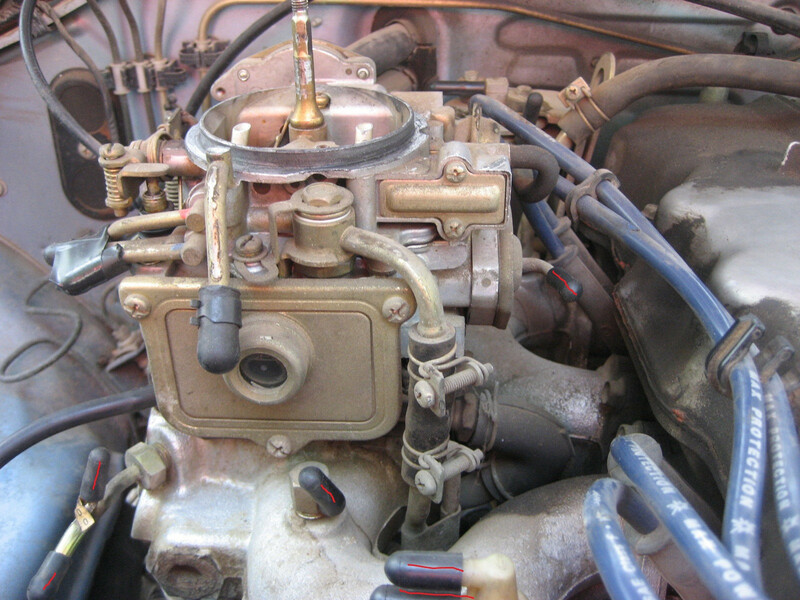 I have marked the lines in orange where they connect to the carb or manifold. 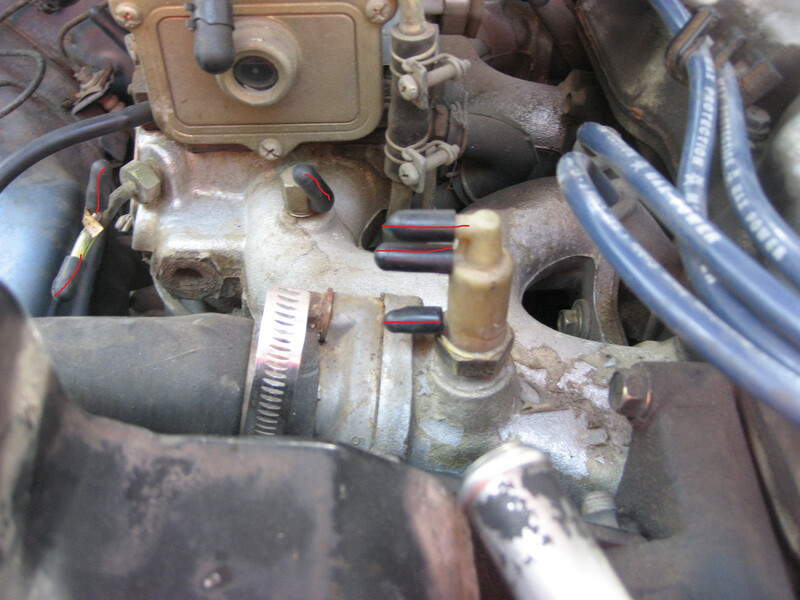 Buy some caps in a variety of sizes and use them to cap the carb or manifold ports after you pull off the vacuum hose. 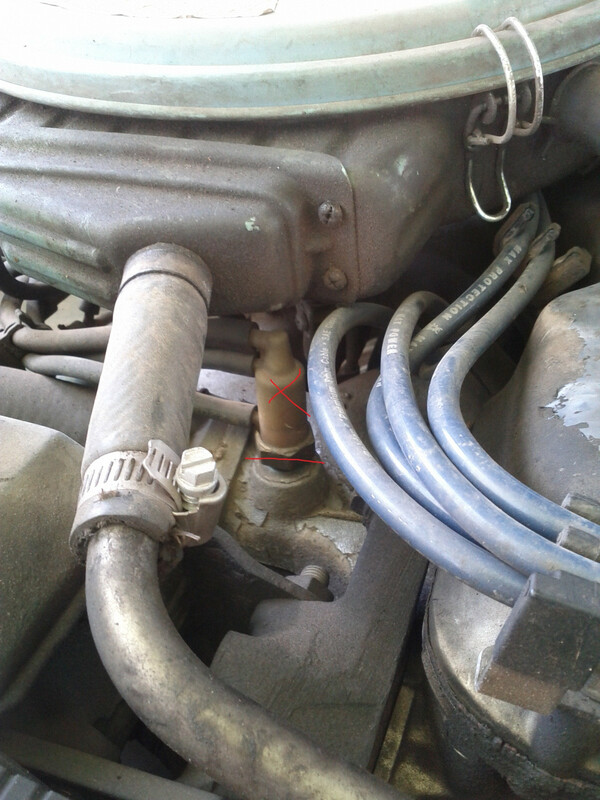 The line marked in blue is the vacuum line for the distributor vacuum advance and you need to keep that one. It most likely has a "Y" connection somewhere along the line that you will delete. When I say "no other connections" I mean no other vacuum hoses should tie into this line, just the hard line. I'd just connect a single piece from the carb to the hard line and then another single piece from the hard line to the distributor. Vent lines don't need capping, but if you delete the cannisters then you might just clean things up a bit with a few caps. I would not cap the carb vent port. 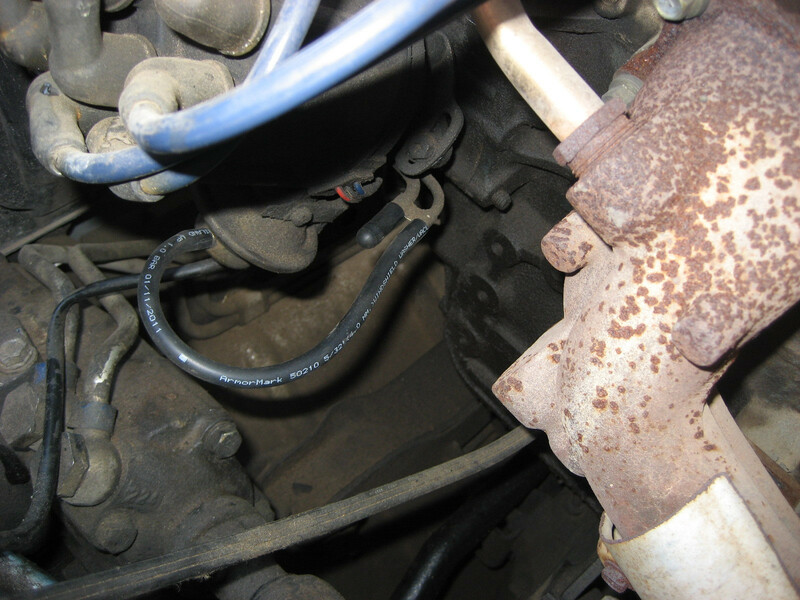 I can't remember exactly, but I think there might be a port on the exhaust manifold that needs to be plugged with a metal plug - someone once used an old oil drain plug. Once you have things capped off, see how it runs before you rip stuff out. Can't thank you enough for the picture. I can do that I think. Two follow ups. I am pretty sure the answer is yes, but can I yank the vacuum switch, boost control valve and altitude compensator. I think at that point they won't be plugged into anything, right? the vacuum motor and hot air duct too? 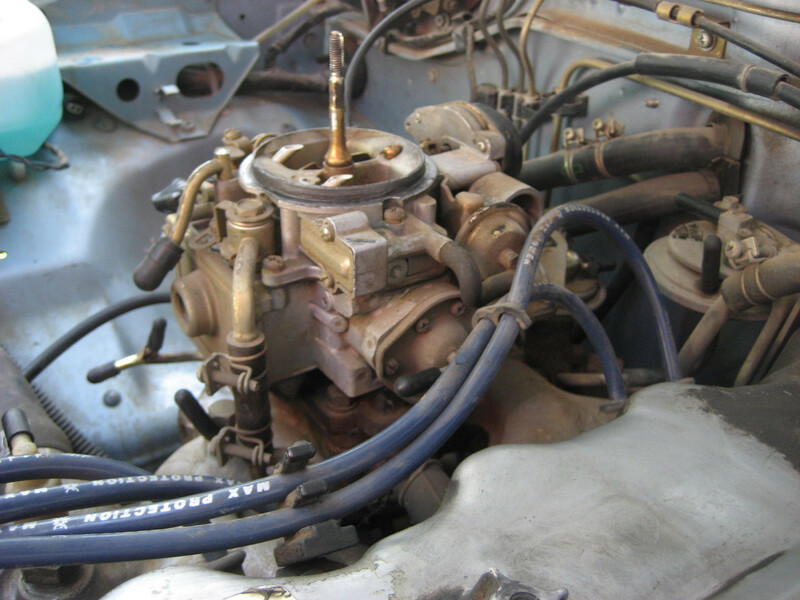 And, if I yank the Canister, can I also yank the EGR, VVT valves? Anything else I can clean up? I will take some pictures from mine and mark them up, contribute that to the next guy since you all helped me. Last edited by lalsimmons on Sat May 05, 2012 9:57 am, edited 1 time in total. 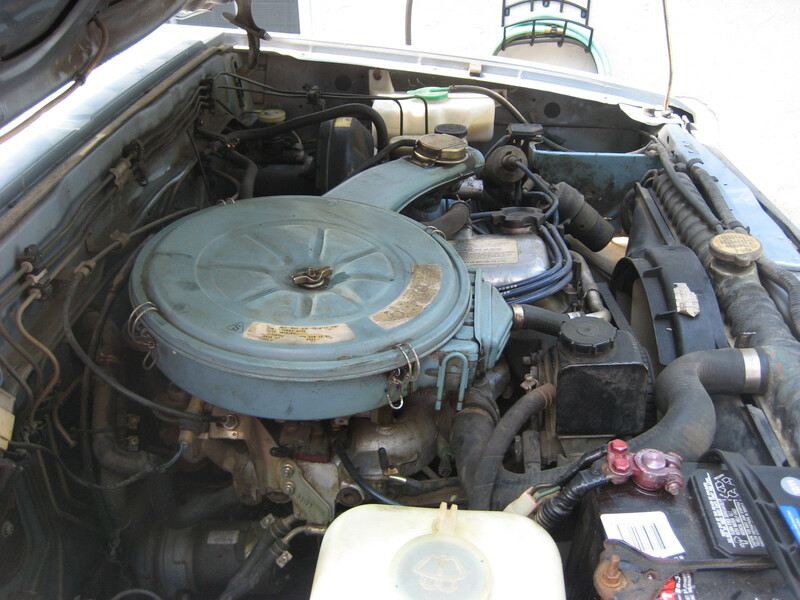 Car: 85 720 2wd 5sp. FWIW, I took out everything except the dizzy advance and brake booster vac, all else was removed/capped off. It runs better since I did that. All an engine needs to run is air,fuel & spark. Driving down the highway I noticed the engine is racing away from my foot. Put the clutch in and the engine races to 4/5k. I turn around and drop it at the mechanic. The throttle cable works, so he mumbles something about the carb and says it probably isn't a big thing. Then before I leave we start it again, idles perfect. Mumbles again, probably not a big deal. He is a fair guy and is the "town mechanic", so I know he isn't gonna screw me. He spent 1 hour on it, and tells me he bypassed the EGR, EGR has a problem or a leak in the vacuum system. Runs fine now. Doesn't even want to attempt to mess with the valve and a replacement or dealing with the tubes, unless I want to "waste money". No emmisions worries in Mass so go have fun. I kind of laughed and he left me to pay. So the timing of me removing the entire thing is now backed by a having just broken down. Plus it give me ammo to abandon the family for a day to rip it all out. He told me he would replace the carb if I ordered it for short money assuming the Weber fits perfectly and the choke / throttle cable hookup is easy. So off I go, I'll take some pictures during and after, like I said I would. So here is my plan. I am not 100% sure if i am messing this up, but I am pretty excited to do this. 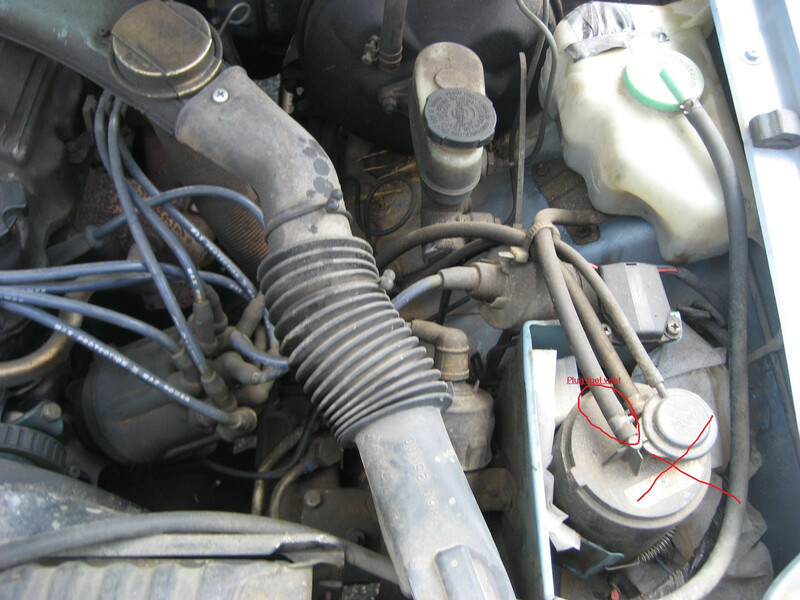 Plug Vac lines at the Carb and manifold per the diagram with vac caps( thanks for the help again). 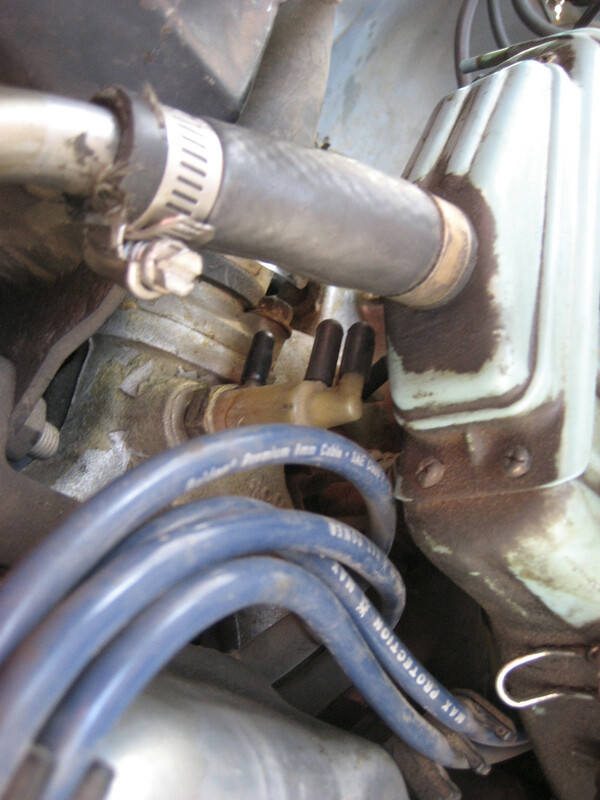 Reconnect the Distributor with new hoses through the hard line removing the Ts to other things on both sides. Drive the truck around a bit, make sure it runs right. 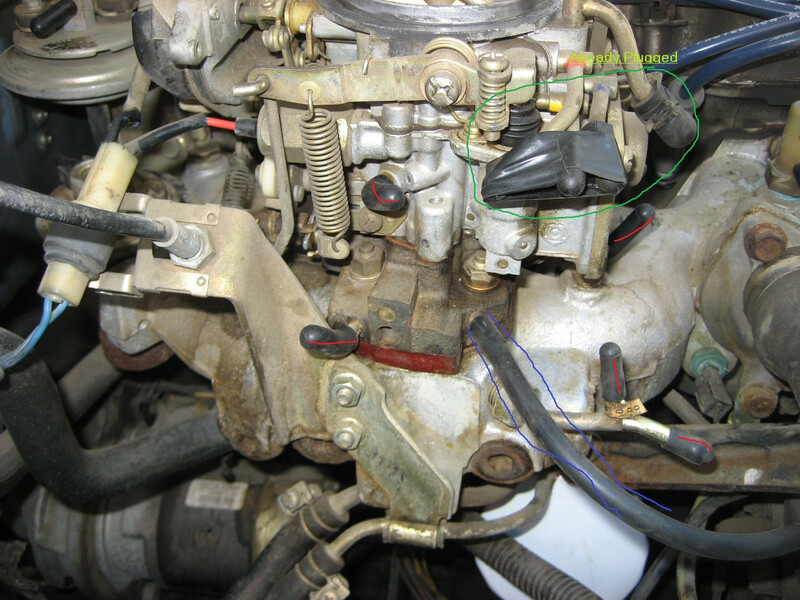 Remove the vacuum switch and boost control valve. I believe they won't be plugged to anything. 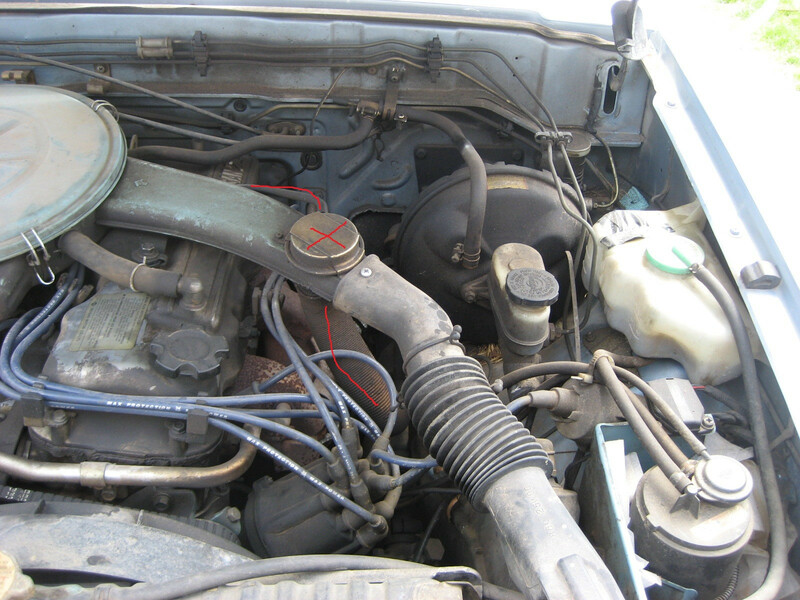 Remove EAI and EGR Tubes, plug the exhaust manifold holes. Drive the truck around a bit. Remove Vaccum motor and hot air duct. 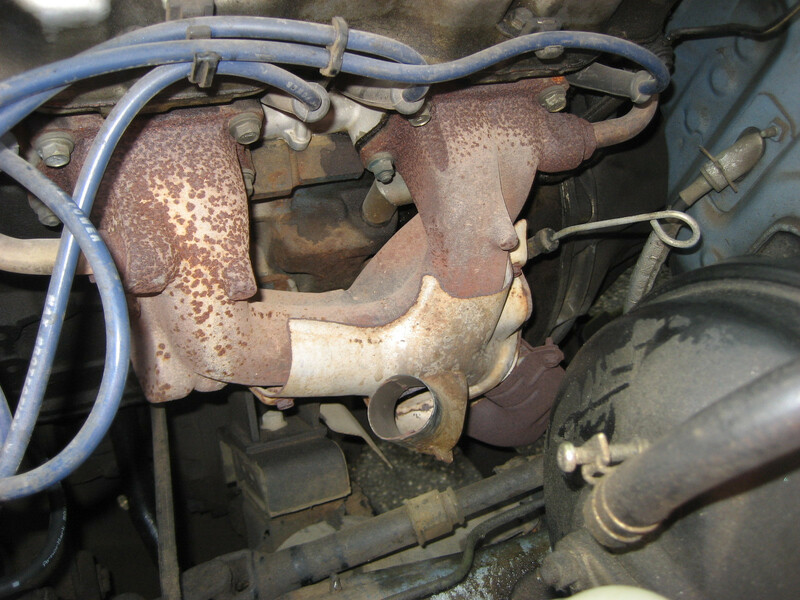 If possible remove the plate that the hot air duct attaches to on the exhaust manifold. Leave the Blow By hose in place to the air cleaner. Remove the EGR and VVT. I think one of these can be removed / one can't. Don't know I'll try it out. Remove the thermal vacuum valve and plug the hole. Remove the canister. I will plug the fuel vent, but I think the other two can just be removed because they are coming from other vent lines that are already unhooked on the other end. One is from the T on the distributor line I am getting rid of. 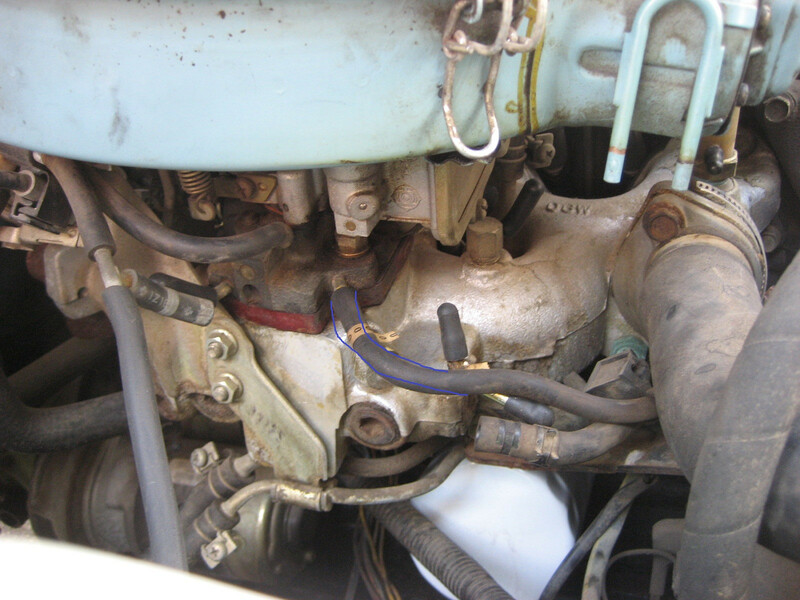 The other is coming from the carb and is already unhooked. Then if all that works out ok. Then I'll swap the carb for a weber. May or may not try this on my own, we'll see if the directions seem approachable. My mechanic seemed to think it wouldn't take him long. 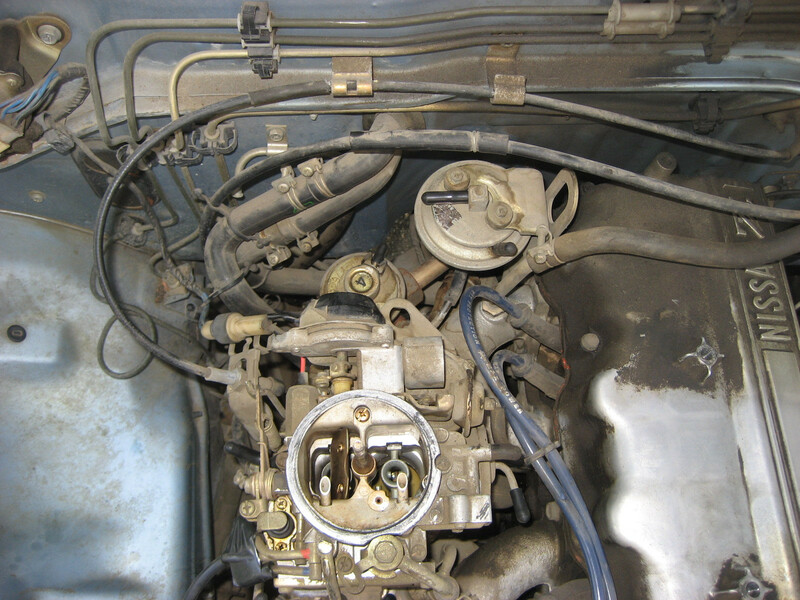 Going to buy this carb. Sunday I took out my vac system. Before pictures are above. Here are the pictures. place as someone suggested to make sure it runs right before ripping it all out. Took it for a drive. So far so good. Then I took everything out. You can see fastboatmans document next to it, thanks again. All put back together. I ended up leaving the line two lines from the exhaust manifold, for now. That shoudln't matter, should it? That is it, I am not sure if anything is wrong, but if anyone sees a screw up let me know. Hopefully this helps someone else do this. I still plan on taking the tray the boost and vac switch sat on, the front exhaust to the air cleaner, the vac thing on the intake to the air cleaner, and finally remove and plug the thermal vacuum valve. I took it for a ride. Odd, it is hesitating when i keep the accelerator constant. So in 3rd or 4th, if i just run it the same speed and not move the pedal, it kind of hesitates / jerks slightly. Anyone have an idea of what I did? Something entirely different? Might want to check the timing. Maybe there was a leak somewhere in all that old stuff. So you were right, it was the timing. I took it to my guy, and $40 later it is running nicely. Or at least it is driving nicely. The only thing that is odd is the truck idles differently. sometimes like 2200, then other times 1500, then other times 800 or so. I know it will idle higher when it started cold, but once warm it seems to go back and forth between 1500 and 800. Is this bad, or cause for concern? I assume it is the carb, and I assume the answer is to put a Weber on. But I just am not sure how serious or problematic this is. 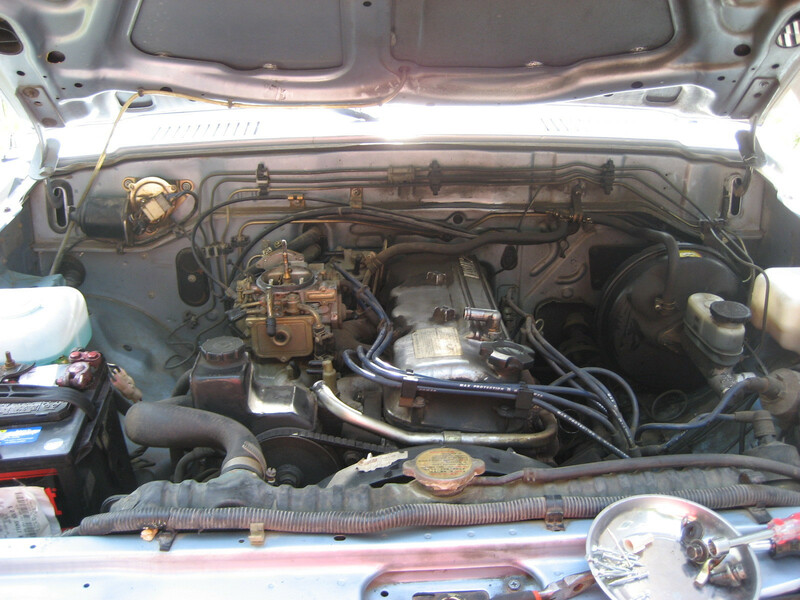 hey awesome vac-line removal, makes the engine bay look really clean. I do however have a couple questions. 1 how hard on a 1 to 10 scale would you rate this project? 2 where did you get the caps at? Caps can be found at just about any auto parts store. 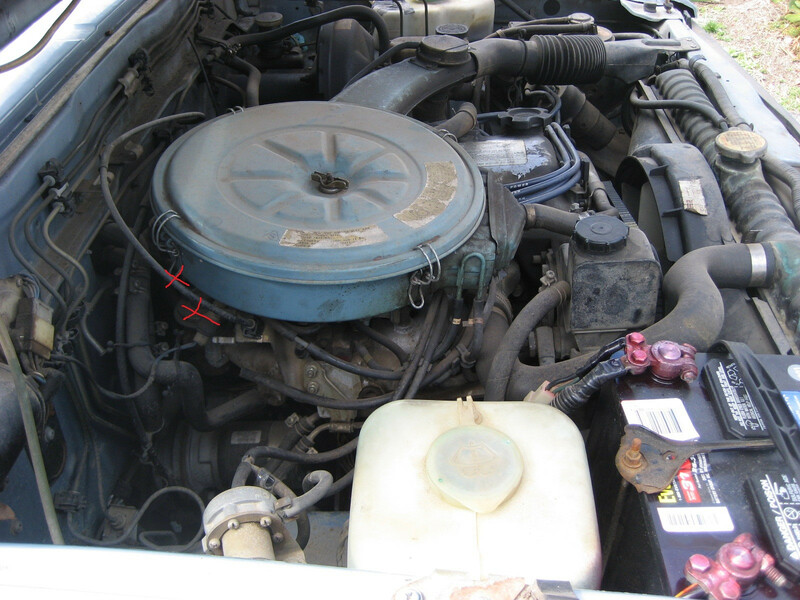 This project is detailed, because you can't leave anything uncapped or open or your ride won't run right, but as far as actual work it is very low in difficulty. Overall, 3/10? Hopefully the pictures and summary give you a good guide. I agree that is probably a 3. - That said I have had a few ongoing challenges which are beyond a 3. But it seems rare. Most posts from people removing lines say their trucks run great when they are done. 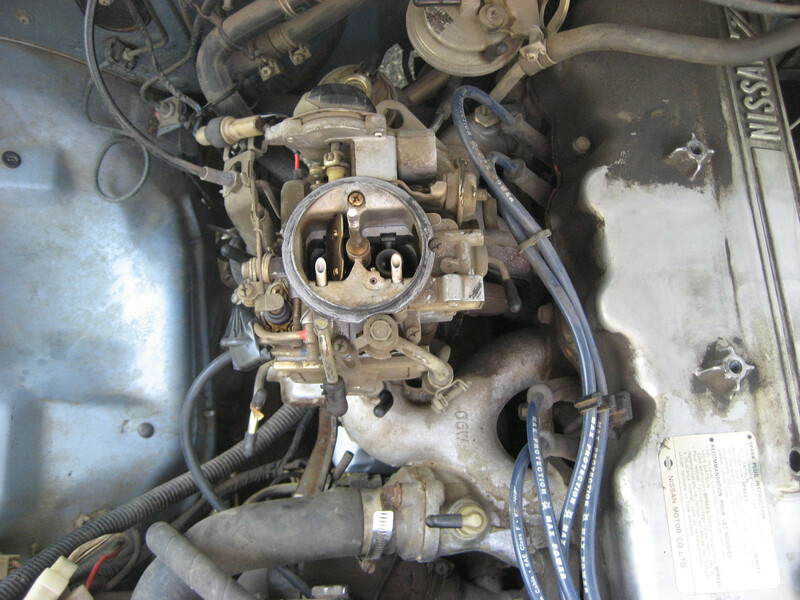 The one thing that was hard on mine (not intellectually, but physically) was reconnecting the new distributor advance line to the hard line on the carb 1/2. It was almost impossible to get my hand into the space to push the new line onto the hard line. The other side is wide open. Maybe there are tricks I don't know. I considered running a line all the way, bypassing the hard line. 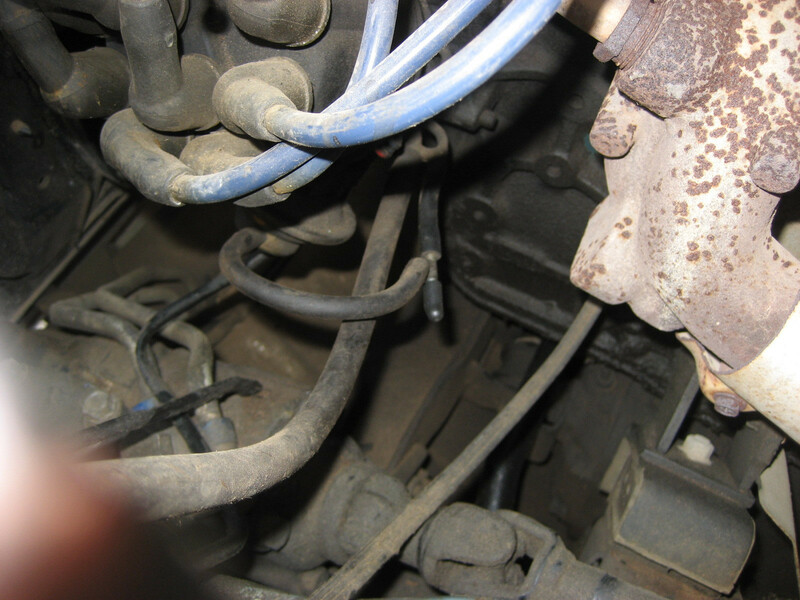 One guy did this with a braided metal line, I assume to ensure it wouldn't melt, or have an issue over that distance. But I don't know, maybe a standard rubber line would be ok over that distance if it was routed carefully. I just recently purchased a 720 for a song and have since been removing everything that is unnecessary to make it a minimalist truck. I would like to thank you guys for the vacuum removal How-To. Most of the vacuum system has been removed except the timing advance and break booster. The hoses were in bad shape anyway to they were probably leaking like a sieve. Previously had a high idle when the A/C was off, that went away after the removal. Now I can sit at a stop light without being embarrassed. 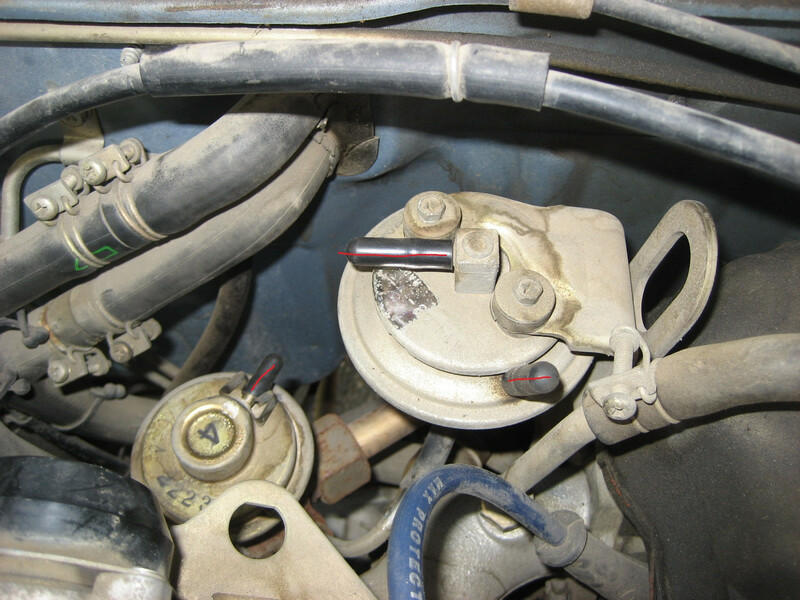 There was a 3 way connector on a thicker line connecting to the can and the brake booster. I can't tell if it is a partial one way valve or it was just gunked up. Brakes work just fine without it though. My timing advance went to a different location than the above pictures. It went to the vertical post with the 3 connector prongs sticking out. (middle one). I don't think it matters, but the engine still runs smoothly. I like this article alot, since i want to free up space on my engine as well and make it look clean. It is my first truck i ever owned and really like how it runs. I dont need the AC or Heater, I would like to have all those lines removed. 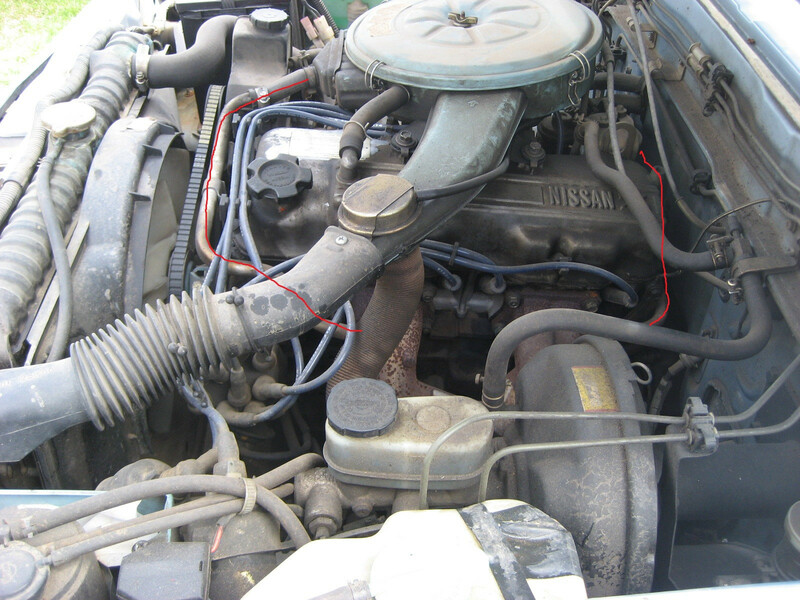 Tomorrow I will post picture of my engine and lines that are hooked up. I've got many of the symptoms of a vacuum leak, including that high hissing sound - but there's also some pretty heavy gas fumigation coming from the air intake/carb area. Just wondering if I should keep an eye out for anything in particular, while I'm working on the vacuum lines, that might be causing this? Is there a short cut I can look for to bring me to just the older pickups? can someone post the part number or the link to the brass plugs. I posted this a long time ago, and I just came back for other reasons. I am glad to see a lot of people ended up looking at this, and I am back to the hesitating problem. Very curious aobut the brass pipe plug, anyone else do this. I think my rubber vacuum plugs are shot. Or can silver bullet post a link to the brass pipe plugs just so we can see what he used. The plugs are just normal brass water pipe thread plugs you can get at any home depot, lowes or whatever. Just take the old thermal vacum plug with you to the store and find its plug match. I did use a thread sealer and washer to make a tight fit. I'll post a pic later if I get a chance. This is a fantastic forum topic for me. I will do this when I get some time to muck around with my old truck. I just hope that it doesnt dissolve into a rust heap before I get to it. 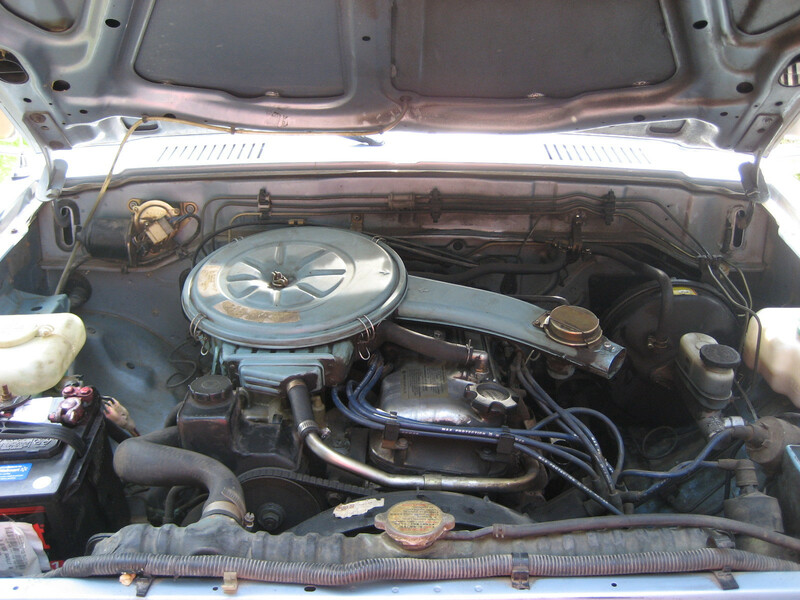 The engine still has some good years in it! Update. If you do this project, you have to check the rubber caps every once in a while. I suppose like you have to check the lines if you leave the Vacuum lines. I had a hesitation which developed and I thought it was timing, or something to do with mechanicals. My mechanic is a good guy, and all he changed was a rubber cap or 2 that were split. He was fair, but man I wish I just checked all the caps. 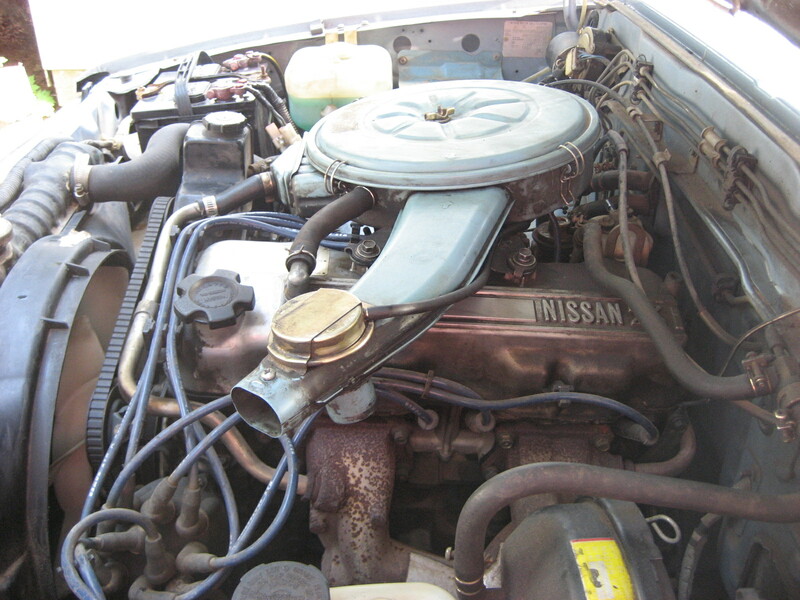 I have a 1989 Nissan d21 with a z24i engine so its fuel injected. Can I still do this vaccum delete?